If you have ever wondered why our leaders in Washington D.C. seem to act so strangely, the truth is that it almost always comes down to just one thing. It has been said that “money makes the world go round”, and that is definitely true in Washington. This year the federal government will spend more than 4 trillion dollars, and that represents well over one-fifth of our national GDP. With so much money coming in and so much money going out, the stakes are incredibly high, and that is why so much money is poured into political campaigns on the national level. Virginia’s Loudoun County holds the title of the nation’s richest county with a median household income of $125,900. While nearly 10,000 residents commute to the District, according to Forbes, about 11,700 businesses employ 161,000 county residents, with Dulles International Airport, Loudoun County Public Schools and the Department of Homeland Security leading that charge. The nearby city of Falls Church, Fairfax and Arlington counties in Virginia and Howard County in Maryland also lead the nation based on wealth. In general, salaries for federal workers are significantly higher than in the private sector, and benefit packages are usually much better. The federal government has a lot to do with this: The Capitol and the economy orbiting around it (including lawyers, defense contractors, computer engineers along the Dulles Corridor, and doctors near NIH) attract college graduates who reliably contribute to six-figure households. Crucially, there was a $1.7 billion increase in lobbying between 1998 and 2010, as Dylan Matthews explained. With each $1 million of lobbying “associated with a $3.70 increase in the D.C. wage premium,” the money pouring into Washington wound up in the pockets of its residents. This certainly isn’t the limited government that our founders intended. So where did we go wrong? One of the big turning points came in 1913. That is the year when the Federal Reserve and the modern version of the income tax were established. The Federal Reserve was designed by the elite to get the federal government very deeply into debt, and an income tax was needed to help service that debt and to help pay for the much larger government that the progressives were wanting. Back then, D.C. was nothing like it is today. In fact, even in the 1970s there were still large farms inside the Beltway. But the federal government just kept getting bigger and bigger and bigger, and now it is a four trillion dollar monstrosity. What I believe we should do is to dismantle as much of that monstrosity as we possibly can. Instead of asking which government agencies we should close, I believe that we should be asking which government agencies we really need to leave open. A great place to start would be by abolishing the Federal Reserve, the IRS and the income tax. Those institutions are at the very core of the Washington money machine, and so it would essentially be like tearing the heart out of big government. And don’t worry, the federal government would still have plenty of money coming in. The individual income tax only accounts for about 46 percent of all federal revenue, and theoretically we could still have an absolutely enormous federal government without an income tax. I once wrote an article that listed 97 different ways that various levels of government get money out of us each year, and so getting rid of the federal income tax would still leave 96 ways for the politicians to extract money from us. As I remind my readers so frequently, the greatest period of economic growth in U.S. history was when there was no income tax and no central bank. But I know that a lot of people out there love the 1.33 percent average yearly GDP growth rate that we have been experiencing over the past decade and would have a really hard time giving that up. Unfortunately, it would actually be a very tough transition to a much more limited federal government because so much of our society is geared around the enormous money machine in Washington. In 2018, more than a billion dollars will be spent on the mid-term elections, and most of that money will be going to incumbents that are committed to maintaining the status quo. If we ever want things to really start changing in Washington, we have got to start sending people there that haven’t been bought off by the big money interests. In my congressional district there is no incumbent running in 2018, and nobody else in the race is nearly as conservative as I am. But since I can’t be bought by the special interests, I am going to have to rely on grassroots support. Donald Trump showed us that anything is possible in American politics. When Jeb Bush decided to run for president, he had an extremely long list of endorsements and a hundred million dollars behind him, and he still got trounced by Trump because Trump had a much stronger message. If we stand united, we can take our government back and there won’t be anything that the establishment will be able to do about it. But if we sit back and do nothing, the cesspool of corruption in Washington D.C. will just continue to get deeper and deeper. Following the announcement on Wednesday, the yield on 10 year U.S. Treasuries went up to 2.89% and even CNBC admitted that the taper is a “bad omen for bonds“. Thousands of other interest rates in our economy are directly affected by the 10 year rate, and so if that number climbs above 3 percent and stays there, that is going to be a sign that a significant slowdown of economic activity is ahead. Mortgage rates are heavily influenced by the yield on 10 year U.S. Treasuries. Because the yield on 10 year U.S. Treasuries is now substantially higher than it was earlier this year, mortgage rates have also gone up. That is one of the reasons why the number of mortgage applications just hit a new 13 year low. And now if rates go even higher that is going to tighten things up even more. If your job is related to the housing industry in any way, you should be extremely concerned about what is coming in 2014. Yes, I know that stocks skyrocketed today. The Dow closed at a new all-time record high, and I can’t really provide any rational explanation for why that happened. When the announcement was originally made, stocks initially sold off. But then they rebounded in a huge way and the Dow ended up close to 300 points. A few months ago, when Fed Chairman Ben Bernanke just hinted that a taper might be coming soon, stocks fell like a rock. I have a feeling that the Fed orchestrated things this time around to make sure that the stock market would have a positive reaction to their news. But of course I absolutely cannot prove this at all. I hope someday we learn the truth about what actually happened on Wednesday afternoon. I have a feeling that there was some direct intervention in the markets shortly after the announcement was made and then the momentum algorithms took over from there. In any event, what we do know is that when QE1 ended stocks fell dramatically and the same thing happened when QE2 ended. If you doubt this, just check out this chart. 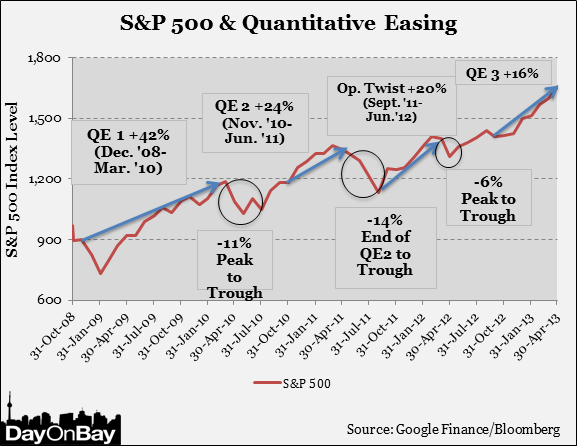 Of course QE3 is not being ended, but this tapering sends a signal to investors that the days of “easy money” are over and that we have reached the peak of the market. And if you are at the peak of the market, what is the logical thing to do? But in order to sell, you are going to need to have buyers. And who is going to want to buy stocks when there is no upside left? The Federal Reserve has been behaving like the Weimar Republic, and this tapering does not change that very much. Even with this tapering, the Fed is still going to be creating money out of thin air at an absolutely insane rate. And for those that insist that what the Federal Reserve is doing is “working”, it is important to remember that the crazy money printing that the Weimar Republic did worked for them for a little while too before ending in complete and utter disaster. The Federal Reserve insists that we are in a time of “low inflation”, but anyone that goes to the grocery store or that pays bills on a regular basis knows what a lie that is. The truth is that if the inflation rate was still calculated the same way that it was back when Jimmy Carter was president, the official rate of inflation would be somewhere between 8 and 10 percent today. Most of the new money created by quantitative easing has ended up in the hands of the very wealthy, and it is in the things that the very wealthy buy that we are seeing the most inflation. As one CNBC article recently stated, we are seeing absolutely rampant inflation in “stocks and bonds and art and Ferraris and farmland“. The mainstream media continues to insist that quantitative easing was all about “stimulating the economy” and that it is now okay to cut back on quantitative easing because “unemployment has gone down”. Hopefully you can see that what the mainstream media has been telling you has been a massive lie. According to the government’s own numbers, the percentage of Americans with a job has stayed at a remarkably depressed level since the end of 2010. 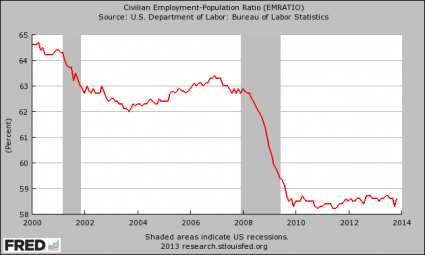 Anyone that tries to tell you that we have had an “employment recovery” is either very ignorant or is flat out lying to you. Everyone else around the world has been watching the Federal Reserve recklessly create hundreds of billions of dollars out of thin air and use it to monetize staggering amounts of government debt. They have been warning us to stop doing this, but the Fed has been slow to listen. The greatest damage that quantitative easing has been causing to our economy does not involve the short-term effects that most people focus on. Rather, the greatest damage that quantitative easing has been causing to our economy is the fact that it is destroying worldwide faith in the U.S. dollar and in U.S. debt. Right now, far more U.S. dollars are used outside the country than inside the country. The rest of the world uses U.S. dollars to trade with one another, and major exporting nations stockpile massive amounts of our dollars and our debt. We desperately need the rest of the world to keep playing our game, because we have become very dependent on getting super cheap exports from them and we have become very dependent on them lending us trillions of our own dollars back to us. If the rest of the world decides to move away from the U.S. dollar and U.S. debt because of the incredibly reckless behavior of the Federal Reserve, we are going to be in a massive amount of trouble. Our current economic prosperity greatly depends upon everyone else using our dollars as the reserve currency of the world and lending trillions of dollars back to us at ultra-low interest rates. And there are signs that this is already starting to happen. In fact, China recently announced that they are going to quit stockpiling more U.S. dollars. This is one of the reasons why the Fed felt forced to do something on Wednesday. But what the Fed did was not nearly enough. It is still going to be creating $75 billion out of thin air every single month, and the rest of the world is going to continue to lose more faith in our system the longer this continues. Despite more than four years of unprecedented money printing by the Federal Reserve, the overall U.S. economy has continued to decline. If you doubt this, please see my previous article entitled “37 Reasons Why ‘The Economic Recovery Of 2013’ Is A Giant Lie“. During the three-year period ending in 2009, Salisbury’s poverty rate of 16% was about 3% higher than the national rate. In the following three-year period between 2010 and 2012, the city’s poverty rate was approaching 30%. Salisbury has traditionally relied heavily on the manufacturing sector, particularly textiles and fabrics. In recent decades, however, manufacturing activity has declined significantly and continues to do so. Between 2010 and 2012, manufacturing jobs in Salisbury — as a percent of the workforce — shrank from 15.5% to 8.3%. The market share of Sears – including K-Mart – has dropped to 2% in 2013 from 2.9% in 2005. Sales have declined for years. The company lost money in fiscal 2012 and 2013. Unless a miracle happens, and they don’t happen very often in retail, it will lose a ton in fiscal 2014, ending in January: for the first three quarters, it’s $1 billion in the hole. Despite that glorious track record, and no discernible turnaround, the junk-rated company has had no trouble hoodwinking lenders into handing it a $1 billion loan that matures in 2018, to pay off an older loan that would have matured two years earlier. Then there’s J.C. Penney. Sales plunged 27% over the last three years. It lost over $1.6 billion over the last four quarters. It installed a revolving door for CEOs. It desperately needed to raise capital; it was bleeding cash, and its suppliers and landlords had already bitten their fingernails to the quick. So the latest new CEO, namely its former old CEO Myron Ullman, set out to extract more money from the system, borrowing $1.75 billion and raising $785 million in a stock sale at the end of September that became infamous the day he pulled it off. So don’t believe the hype. The economy is getting worse, not better. Quantitative easing did not “rescue the economy”, but it sure has made our long-term problems a whole lot worse. And this “tapering” is not a sign of better things to come. Rather, it is a sign that the bubble of false prosperity that we have been enjoying for the past few years is beginning to end. #1 The greatest period of economic growth in U.S. history was when there was no central bank. #2 The United States never had a persistent, ongoing problem with inflation until the Federal Reserve was created. In the century before the Federal Reserve was created, the average annual rate of inflation was about half a percent. In the century since the Federal Reserve was created, the average annual rate of inflation has been about 3.5 percent, and it would be even higher than that if the inflation numbers were not being so grossly manipulated. #3 Even using the official numbers, the value of the U.S. dollar has declined by more than 95 percent since the Federal Reserve was created nearly 100 years ago. #4 The secret November 1910 gathering at Jekyll Island, Georgia during which the plan for the Federal Reserve was hatched was attended by U.S. Senator Nelson W. Aldrich, Assistant Secretary of the Treasury Department A.P. Andrews and a whole host of representatives from the upper crust of the Wall Street banking establishment. #5 In 1913, Congress was promised that if the Federal Reserve Act was passed that it would eliminate the business cycle. #7 It was not an accident that a permanent income tax was also introduced the same year when the Federal Reserve system was established. The whole idea was to transfer wealth from our pockets to the federal government and from the federal government to the bankers. #8 Within 20 years of the creation of the Federal Reserve, the U.S. economy was plunged into the Great Depression. #9 If you can believe it, there have been 10 different economic recessions since 1950. The Federal Reserve created the “dotcom bubble”, the Federal Reserve created the “housing bubble” and now it has created the largest bond bubble in the history of the planet. #11 The Federal Reserve also paid those big banks $659.4 million in fees to help “administer” those secret loans. #12 The Federal Reserve has created approximately 2.75 trillion dollars out of thin air and injected it into the financial system over the past five years. This has allowed the stock market to soar to unprecedented heights, but it has also caused our financial system to become extremely unstable. #13 We were told that the purpose of quantitative easing is to help “stimulate the economy”, but today the Federal Reserve is actually paying the big banks not to lend out 1.8 trillion dollars in “excess reserves” that they have parked at the Fed. #14 Quantitative easing overwhelming benefits those that own stocks and other financial investments. In other words, quantitative easing overwhelmingly favors the very wealthy. Even Barack Obama has admitted that 95 percent of the income gains since he has been president have gone to the top one percent of income earners. #15 The gap between the top one percent and the rest of the country is now the greatest that it has been since the 1920s. #16 The Federal Reserve has argued vehemently in federal court that it is “not an agency” of the federal government and therefore not subject to the Freedom of Information Act. 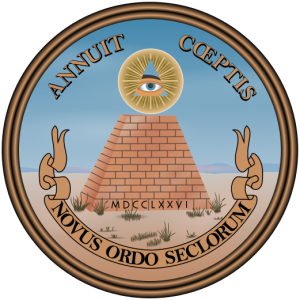 #17 The Federal Reserve openly admits that the 12 regional Federal Reserve banks are organized “much like private corporations“. #18 The regional Federal Reserve banks issue shares of stock to the “member banks” that own them. #19 The Federal Reserve system greatly favors the biggest banks. Back in 1970, the five largest U.S. banks held 17 percent of all U.S. banking industry assets. Today, the five largest U.S. banks hold 52 percent of all U.S. banking industry assets. #20 The Federal Reserve is supposed to “regulate” the big banks, but it has done nothing to stop a 441 trillion dollar interest rate derivatives bubble from inflating which could absolutely devastate our entire financial system. #21 The Federal Reserve was designed to be a perpetual debt machine. The bankers that designed it intended to trap the U.S. government in a perpetual debt spiral from which it could never possibly escape. Since the Federal Reserve was established nearly 100 years ago, the U.S. national debt has gotten more than 5000 times larger. #22 The U.S. government will spend more than 400 billion dollars just on interest on the national debt this year. #23 If the average rate of interest on U.S. government debt rises to just 6 percent (and it has been much higher than that in the past), we will be paying out more than a trillion dollars a year just in interest on the national debt. #24 According to Article I, Section 8 of the U.S. Constitution, the U.S. Congress is the one that is supposed to have the authority to “coin Money, regulate the Value thereof, and of foreign Coin, and fix the Standard of Weights and Measures”. So exactly why is the Federal Reserve doing it? #25 There are plenty of possible alternative financial systems, but at this point all 187 nations that belong to the IMF have a central bank. Are we supposed to believe that this is just some sort of a bizarre coincidence? How would America ever survive without the central planners in the Obama administration and at the Federal Reserve? What in the world would we do if there was no income tax and no IRS? Could the U.S. economy possibly keep from collapsing under such circumstances? The mainstream media would have us believe that unless we have someone “to pull the levers” our economy would descend into utter chaos, but the truth is that the best period of economic growth in U.S. history occurred during a time when there was no income tax and no Federal Reserve. Between the Civil War and 1913, the U.S. economy experienced absolutely explosive growth. The free market system thrived and the rest of the world looked at us with envy. The federal government was very limited in size, there was no income tax for most of that time and there was no central bank. To many Americans, it would be absolutely unthinkable to have such a society today, but it actually worked very, very well. Without the inventions and innovations that came out of that period, the world would be a far different place today. The rapid economic development following the Civil War laid the groundwork for the modern U.S. industrial economy. By 1890, the USA leaped ahead of Britain for first place in manufacturing output. An explosion of new discoveries and inventions took place, a process called the “Second Industrial Revolution.” Railroads greatly expanded the mileage and built stronger tracks and bridges that handled heavier cars and locomotives, carrying far more goods and people at lower rates. Refrigeration railroad cars came into use. The telephone, phonograph, typewriter and electric light were invented. 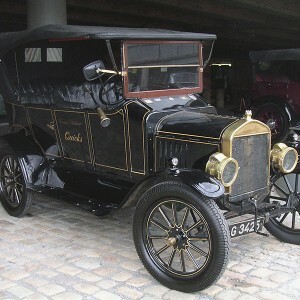 By the dawn of the 20th century, cars had begun to replace horse-drawn carriages. Parallel to these achievements was the development of the nation’s industrial infrastructure. Coal was found in abundance in the Appalachian Mountains from Pennsylvania south to Kentucky. Oil was discovered in western Pennsylvania; it was mainly used for lubricants and for kerosene for lamps. Large iron ore mines opened in the Lake Superior region of the upper Midwest. Steel mills thrived in places where these coal and iron ore could be brought together to produce steel. Large copper and silver mines opened, followed by lead mines and cement factories. In 1913 Henry Ford introduced the assembly line, a step in the process that became known as mass-production. When hard working, industrious people are given freedom to pursue their dreams, great things tend to happen. The truth is that we were all designed to create, to invent, to build, and to trade with one another. We all have something that we can contribute to society, and when families are strong and the invisible hand of the free market is allowed to work, societies tend to prosper. Wouldn’t you like U.S. GDP to double over the course of a decade now? So why don’t we go back to a system like that? In 1913, the Federal Reserve and a permanent national income tax were introduced. Today, the unelected central planners at the Federal Reserve totally run our financial system and the U.S. tax code is about 13 miles long. The value of our currency has declined by more than 96 percent since 1913, and the size of our national debt has gotten more than 5000 times larger. Meanwhile, control freak bureaucrats seemingly run everything. Almost every business decision is heavily influenced either by taxes or by the millions of laws, rules and regulations that are sucking the life out of our economic system. My favorite example of how suffocating red tape in America has become is the magician out in Missouri that was forced by the Obama administration to submit a 32 page “disaster plan” for the rabbit that he uses during his magic shows for kids. It is no wonder why we don’t have any economic growth. The central planners in the federal government are killing our economy. And the central planners over at the Federal Reserve are killing our financial system. 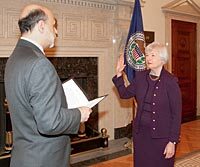 In school we are taught that the Fed was created to bring stability to our financial system, but the truth is that they have been responsible for financial bubble after financial bubble, and now Federal Reserve Chairman Ben Bernanke has created the largest bond bubble in the history of the world. When that thing bursts, and it will, we are going to see financial carnage on an unprecedented scale. Today’s world includes four Wall Street banks each with assets over $1 trillion, each more than Goldman. Plus eight other big global banks each have over $2 trillion total assets, including, among the 100 largest, Barclays, HSBC, Deutsche, ICB-China and Japan’s Mitsubishi. Yes, this new world is changing fast. Back in 2008 the world’s financial banks were in ruins. Wall Street sunk into virtually bankruptcy. Goldman and its Wall Street too-big-to-fail co-conspirators had trashed the global economy, triggered a virtual depression, and Wall Street’s casinos lost over $10 trillion of Main Street retirement funds. And as we saw back in 2008, the Federal Reserve is going to do whatever is necessary to prop up Wall Street. Most Americans never even heard about this, but during the last financial crisis the Fed secretly loaned 16 trillion dollars to the big banks. Those loans were nearly interest-free and those banks knew that they could get basically as much nearly interest-free money as they wanted from the Fed. 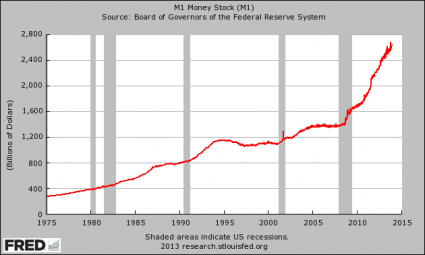 So how much nearly interest-free money did the Fed loan to normal Americans? That would be bad enough, but it is also important to remember that since 2008 the Fed has actually been paying banks NOT to lend money to the rest of us. What is it going to take for the American people to start demanding that the Fed be abolished? They are absolutely destroying our financial system. Meanwhile, the central planners in the Obama administration have been doing their part as well. During the second quarter of this year, the number of Americans working between 30 and 34 hours per week fell by 146,500. During that same time period, the number of Americans working between 25 and 29 hours rose by 119,000. Well, the Obamacare employer mandate will apply to workers that work at least 30 hours each week, so employers are starting to cut back on the hours their employees are getting in order to comply with the law. But this is just one example out of thousands, and most Americans already know that the U.S. economy has been crumbling for many years. In fact, things have gotten so bad that even 53 percent of all Democrats believe that the American Dream is dead even though Barack Obama is residing in the White House. But this is just the beginning. Things are going to get much, much worse. We are going down the same path that Greece has gone, and the unemployment rate in Greece has just hit a new all-time record high of 27.6 percent. That is where the U.S. is headed eventually. Decades of very foolish decisions are catching up with us. The primary reason why all of this is happening is debt. As a society, we simply have way, way, way too much debt. The biggest offender, of course, is the federal government. Since 1970, federal spending has grown nearly 12 times as rapidly as median household income has, and since the year 2000 the size of the U.S. national debt has grown by more than 11 trillion dollars. “The Impact of High and Growing Government Debt on Economic Growth: An Empirical Investigation for the Euro Area,” in European Central Bank working paper, Number 1237, August 2010. Cristina Checherita and Philipp Rother found that a government-debt-to-GDP ratio above the threshold of 90-100% has a “deleterious” impact on long-term growth. Additionally, the impact of debt on growth is nonlinear – as the government debt rises to higher and higher levels, the adverse growth consequences accelerate. “Public Debt Overhangs: Advanced-Economy Episodes Since 1800,”by Carmen M. Reinhart, Vincent R. Reinhart, Kenneth S. Rogoff, Journal of Economic Perspectives, Volume 26, Number 3, Summer 2012, pages 69-86. The authors identified 26 cases of “debt overhangs,” which they define as public-debt-to-GDP levels exceeding 90% for at least five years. In spite of the many idiosyncratic differences in these situations, economic growth fell in all but three of the 26 cases. All of the instances, which lasted an average of 23 years, are included in the paper. They found that average annual growth is 1.2% lower for countries with a debt overhang than for countries without. The long duration of such episodes means that cumulative shortfall from the debt excess—i.e., several years in a row of subpar economic growth—is potentially massive. But it isn’t just federal government debt that is the problem. The rest of us have way too much debt as well. If you can believe it, the ratio of private debt to GDP was 273.3% for the twelve months ending in the first quarter of 2013. That is an astounding figure. In Too Much Finance, published by the United Nations Conference on Trade and Development (UNCTAD) in March 2011, Jean Louis Arcand, Enrico Berkes, and Ugo Panizza found a negative effect on output growth when credit to the private sector reaches 104-110% of GDP. The strongest adverse effects are for credit over 160% of GDP. The second is the 2011 BIS study authored by Cecchetti, Mohanty, and Zampolli. They found that private debt levels become “cancerous” (in BIS economic advisor Cecchetti’s own words) at 175% (90% for corporations and 85% for households)—just slightly more than the UNCTAD study. When you add our private debt to GDP ratio of 273 percent to our federal debt to GDP ratio of 101 percent, you get a grand total of 384 percent. This is how we have funded the false prosperity of the past couple of decades. Essentially, we have been putting our good times on a credit card. And as anyone that has ever tried to live on credit knows, the good times eventually run out. But this is what the Federal Reserve was designed to do. It was designed to get the U.S. government trapped in a debt spiral from which there would never be any escape. It is not an accident that our national debt has gotten more than 5000 times larger than it was when the Fed was originally created. This is what the bankers wanted the system to do. They wanted a system that would extract wealth from all of us through taxes, transfer it to the government, and then transfer it to them through interest payments. We never needed a central bank, we never needed the IRS and we never needed an income tax. America would be doing just fine without any of them. But instead, America chose to go down the path of collectivization and central planning, and now we are heading toward the biggest economic disaster in the history of mankind.